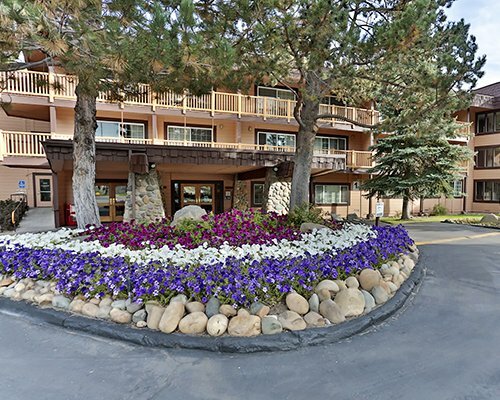 The Lodge at Lake Tahoe is a small family-oriented resort ideally located in the center of South Lake Tahoe. It is a mile from the lake at an altitude of 6,200 feet. There is an outdoor pool for warm weather months and an outdoor spa year round. The resort also has a playground and offers free Internet access. The resort's efficiency units, one-bedroom and two-bedroom condominiums provide plenty of room to spread out and enjoy. After a day on the slopes, on the lake or by the pool, partial and full kitchens make it easy to prepare a refreshing snack or light meal. 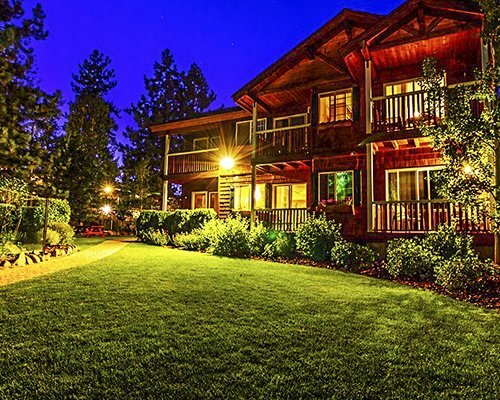 Accommodations at The Lodge at Lake Tahoe sleep four to six adults. The nearest major airport is approximately 60 miles away in Reno, Nevada. From the airport, take I-395 S. through Carson City, turn right on Highway 50. Continue west to the state line. Turn left on Pioneer Trail and travel 1/4 mile to the resort, on the left. 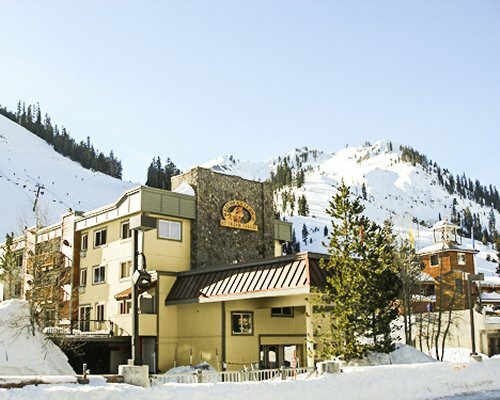 Tahoe is a mecca for skiers with more than 16 ski areas. However, summer comes alive with a full range of outdoor activities in this stunning environment rich with natural beauty and good clean air. There are boats to rent, fish to catch and golf and tennis is readily available. 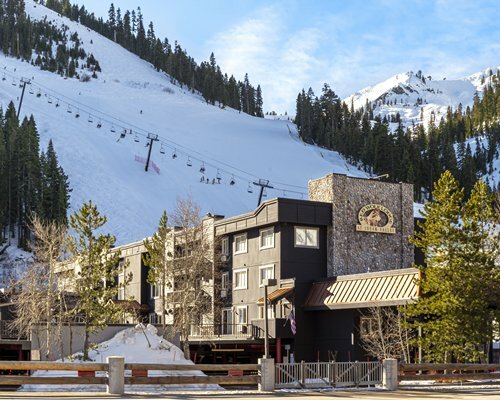 Along with family attractions and fine local dining, there is the sophisticated fun of casino action in Stateline, Nevada, only six blocks away from The Lodge at Lake Tahoe. For more action, some of the most famous casinos in the world are just an easy drive away. "Housekeeping fee for all RCI points reservations: There may be a fee of 61.00 U.S. dollars for 1 Bedroom units, per stay. Cash or Credit is accepted." "Housekeeping fee for all RCI points reservations: There may be a fee of 58.00 U.S. dollars for Studio, per stay. Cash or Credit is accepted." Studio units are small and suitable for no more than two adults.